MTSU faculty experts recently shared their knowledge on topics such as Venezuela, foreign investors, government transparency, sexism in country music, Kazakhstan, and transgender rights through numerous national media outlets. Dr. Stephen Morris, a professor of political science and international affairs, was interviewed Feb. 25 by Sputnik News about clashes between government troops and opposition protesters at the Venezuelan border. His views can be read and heard in a podcast here. Dr. John Vile, dean of the University Honors College and a political scientist, commented on the controversy over the “Peace Cross” in Bladensburg, Maryland, for a Feb. 27 story in The Christian Science Monitor. His opinion is available here. Vile also commented on Michael Cohen’s testimony before a Congressional committee and President Trump’s summit with North Korean President Kim Jung Un on NewsChannel5’s March 1 edition of “Inside Politics.” That video can be seen here. 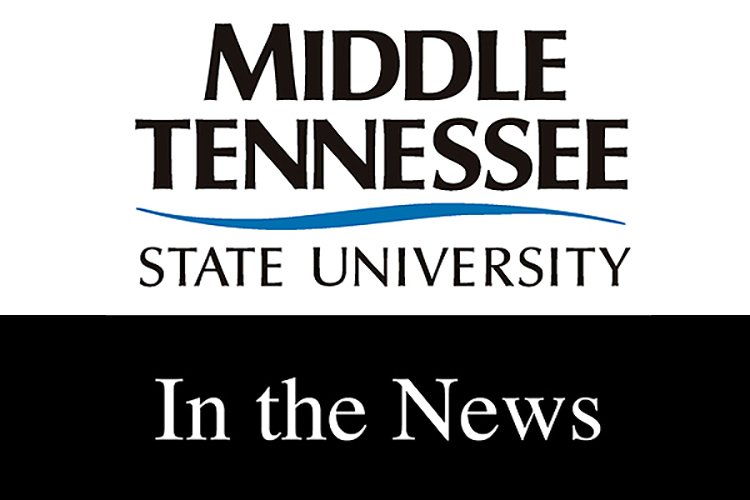 Dr. Sidney A. McPhee, president of Middle Tennessee State University, said MTSU is producing students who are ready for 21stcentury tech jobs in a March 1 Nashville Ledger story. His comments can be accessed here. In the same Nashville Ledger article, Dr. Charles Apigian, a professor of information systems and analytics, said Nashville is a welcoming market for the tech industry. His views are available here. Dr. Steven Livingston, a professor of political science and international relations, explained Tennessee’s success in attracting foreign investment in a March 8 story in the Nashville Ledger. His comments can be read here. Livingston also explained how tariffs imposed by President Trump could hurt Alabama’s auto industry in an article published March 21 at www.al.com. His perspectives can be read here. Ken Paulson, dean of the College of Media and Entertainment, wrote an editorial about the need for transparency in government that was published in the March 11 Corpus Christi (Texas) Caller-Times and other newspapers. His views are available here. Beverly Keel, chair of the Department of Recording Industry, commented on sexism in country music for a report on the March 18 “PBS News Hour.” The video and transcript can be found here. Dr. Andrei Korobkov, a professor of political science and international affairs, stated that the United States will be working to expand its influence in Kazakhstan in a March 20 interview with the Russian news agency TASS. His opinions can be accessed here. Dr. Marisa Richmond, an adjunct professor of history, shed light on trailblazing transgender activist Marsha P. Johnson for a story about the 1969 Stonewall riots in the March 27 edition of USA Today. Her comments can be read here.